Most music journalists become successful by identifying a niche. They present themselves as knowledgeable about music culture — specific genre(s), aspects of the business (venues, major label operations, marketing), themes (mainstream vs. underground, chart action) — with hopes that outlets will call on them to write about their expertise. These are generalized examples. The point is that while we are surrounded by music throughout our lives, there is usually a spark that inspires us to consume music actively instead of passively. The act of turning that passion into a career calling often arrives after that moment. But can that spark be reduced to a singular moment? No, not for me. I can remember moments when I heard certain songs for the first time. I remember hearing The Police’s “Spirits in the Material World” while sitting in the back seat of the car, and mishearing the chorus. (I thought Sting was singing about Cheerios.) I remember being at a YMCA picnic and hearing a nearby truck blast AC/DC’s “You Shook Me All Night Long.” Ironically, the first time I heard a rap song was when I was riding in a school bus, returning from an after-school trip to a local park, and the radio played Frankie Smith’s “Double Dutch Bus.” The funny thing was that I recognized it from the schoolyard: I had picked up my classmates chanting the chorus, and I started doing it myself well before I heard the actual song. In 1983, I bought my first two records with birthday money: Earth, Wind & Fire’s Electric Universe, and Hall & Oates’ Rock ‘N Soul Part 1. I was a fan of both due to my mom’s collection. She had nearly all of EWF’s 70s catalog. She also owned No Goodbyes, a compilation of Hall & Oates early Atlantic material, and their self-titled “silver” album, the one with “Sara Smile” and the controversial, gender-bending Pierre LaRouche cover. I played both a lot. Back in those pre-Internet days, when you purchased a record or cassette, you played the hell out of it. You studied the liner notes, turned deep album cuts into personal favorites, and developed a relationship with that piece of music, whether it was objectively good art or not. Besides, I was so young that I didn’t have an aesthetic yet. I knew from the “Magnetic” video that the album was meant to be futuristic in some way. But I didn’t know that Electric Universe was a misbegotten take on then-emerging video game and tech culture that sold so poorly, EWF subsequently went on a years-long hiatus, with several members never to return. Incidentally, I remember seeing the video for George Clinton’s “Atomic Dog” around the same time. I didn’t like “Atomic Dog,” even though it was omnipresent on KSOL-FM, our local radio station, and “Magnetic” was not. “Atomic Dog” seemed dirtier, and weirder. Of course, it was infused with a kind of raw sexuality that I didn’t comprehend. 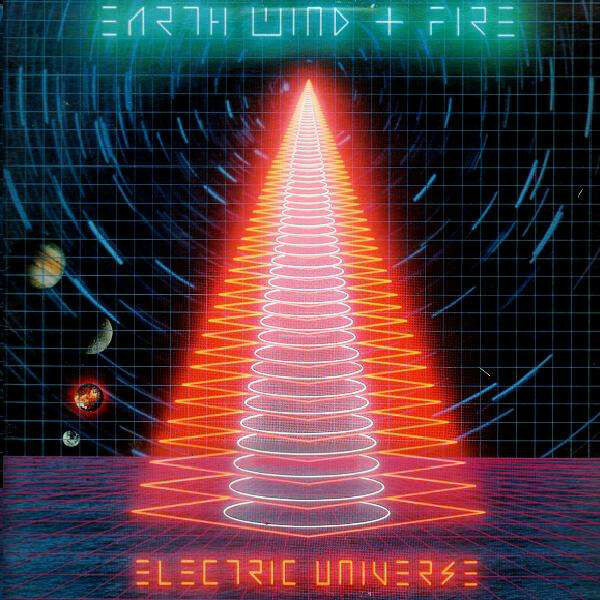 It was easier as a child to gravitate to the spiritual optimism of EWF. As for Rock ‘N Soul, I liked it a lot, but I was upset that it omitted my favorite Hall & Oates song at the time, “Family Man.” Much like “Atomic Dog,” I didn’t understand the sexual nature of the lyrics: a married man who is nearly led astray by a prostitute. I gravitated to the chorus — “I said ‘Leave me a-lone! I’m a fa-mi-ly man!” I loved the way Daryl Hall chanted the syllables like he was doing a Michael Jackson fist-pump. It’s worth noting that the “Family Man” video played up on the superficially childish aspects of the song — it found Hall, John Oates and their band surrounded by pouty kids. Then as now, popular music was infused with the dynamics of physical attraction. But as a child, I only heard hooks and choruses. I gravitated to the ones that reflected the emotional state I wanted to be in, or the one I was stuck in. I memorized the lyrics, but I didn’t necessarily comprehend the words I recited. So no, these weren’t the moments when I began to think critically about the music I consumed. But they were the moments when I knew that music excited and inspired me. I thought about melodies, making them up in my head. I guess I could have followed a path to learning how to play instruments. But I found comfort in my mind instead of the physical art of performance. Besides, I knew from a very early age that I wanted to be a writer. It would be a few more years before I wrote my first record reviews, and much longer before I tried to fashion myself as a so-called “expert” on music. But I imagine that my current journey began somewhere during those years, when I realized that music was not just a sound I heard, but a feeling that moved me.